Our reliable transponder key programming specialists will have you out of a jam in no time whatsoever! As the name implies, we cover the entire Fort Worth section with 24/7 emergency roadside coverage. We’ve put together a fantastic team of trustable pros that will stop by your home, office or roadside location in really fast response time! We’re only one quick phone call away! We and our licensed affiliates can repair any malfunctioning issues with a transponder key. These issues could stem from chip codes to a simple battery replacement. Old batteries tend to cause problems but we can have the exact type installed right there on the spot. You won’t need to travel to a car dealership or worry about them placing a backorder on the precise item. Our trucks come fully stocked with the latest state-of-the-art machinery. You can expect top-notch results with us and that’s a fact! Our lockout solutions in Fort Worth include; transponder key programming, ignition keys made and replaced, on-site key cutting services, professional lock picking techniques, production of vehicle keys, lock repair, GM VAT keys, open jammed vehicle doors and 24/7 mobile lockout assistance in the Fort Worth areas. Timing means the world of difference between a reliable car lockout company and an amateur. We make sure you are fully attended to in a fast time frame. We’ll present you with proper ID at the scene so you can breathe a sigh of relief. We and our network of independently owned and licensed affiliates are an established car lockouts company with years of experience behind us. We truly go the extra mile to keep you safe and ensure the highest quality roadside care. We’re constantly kept busy with referrals from our growing list of satisfied customers. Our highly trained staff will be more than happy to answer all your questions and give you an outstanding price quote over the phone. Don’t let a damaged chip key ruin your day! 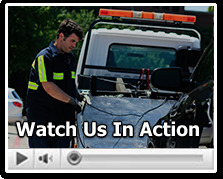 Call the experts at Fort Worth Towing today!